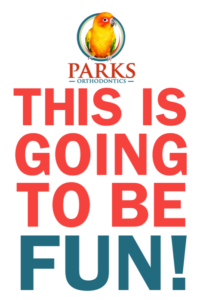 Parks Orthodontics Is Now Texting! Parks Orthodontics is excited to announce that our patients can now text us! We now offer a “Virtual Consultation Smile Assessment” for orthodontic services. How does this work? You simply take a series of photos of your mouth and send them to us. After we receive the photos, Dr. Meredith Parks will review them and one of our team members will contact you. You may need to come into the office for a more in-depth consultation before Dr. Parks can make an assessment. Detailed directions on the photos needed and the best way to take them can be found here. But a smile assessment isn’t the only thing you can text us about. Have a question about your braces? How about your appointment? Have a friend who wants to know about Invisalign? Need to ask about your retainer? Do you simply want to share a picture of your new smile with us? Shoot us a quick text to (757) 874-6655 and one of our team members will get back to you as soon as we can. Parks Orthodontics is thrilled to bring texting to our office. Our team is excited to have this new way to communicate with our patients! We can’t wait to hear from you!